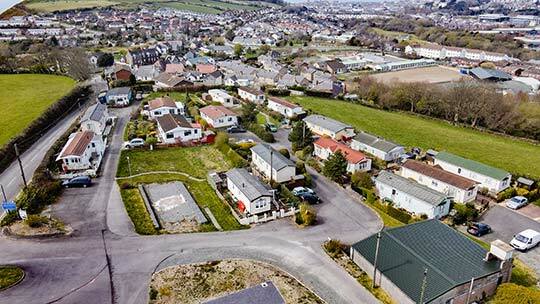 The local amenities of the University town of Aberystwyth as well as the taste of the great outdoors are all at your disposal when you purchase a home at MIDFIELD, a residential park with some beautiful countryside surroundings but on the edge of Aberystwyth with views of the surrounding area of Aberystwyth, Cardigan Bay, and the Rheidol Valley and beyond. If you would like more photos of the views etc. please contact us, and we will be pleased to send them. You can email me at: sales@midfield.me and I will be happy to email photos - OR return the contact page with any queries you might have. 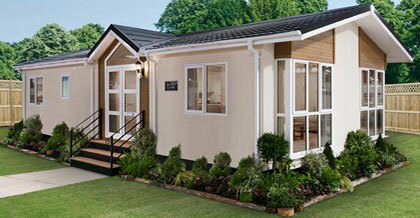 At the moment we have a choice of three plots available for the purchaser of a NEW residential park home. The ground rent is £178.07p [single] of £211.52p [twin] per calendar month plus Council Tax. If required one pitch could be available for 12 month holiday use charges as above, plus a pitch maintenance fee. THIS PITCH WOULD BE IDEALLY SITUATED FOR A PERSON WITH LIMITED MOBILITY, BEING LARGE ENOUGH TO INCORPORATE A PARKING AREA ADJACENT TO AND ON A LEVEL WITH THE DOOR.